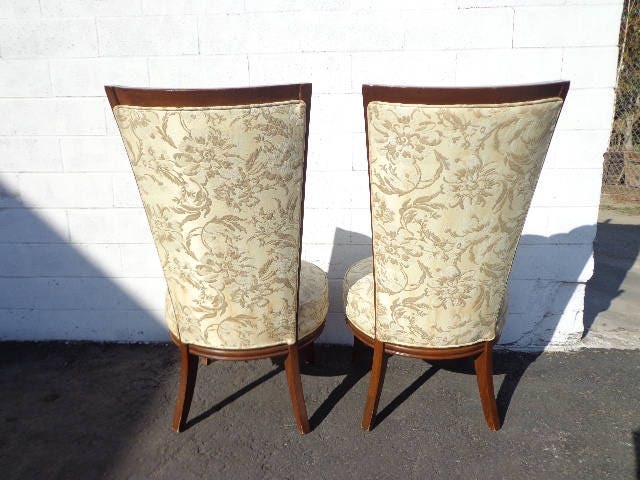 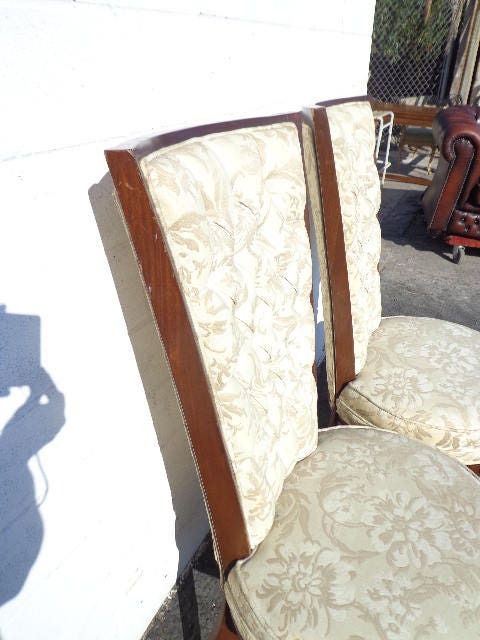 Fabulous set of 2 high back Hollywood Regency chairs. 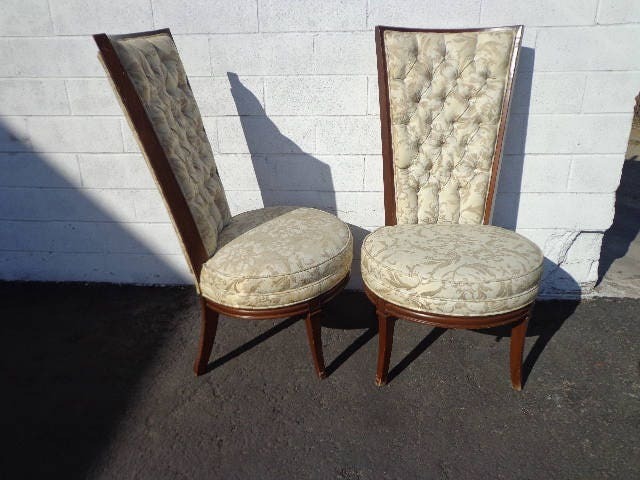 Classic style with carved wood legs, trim, and a high back dramatic design. 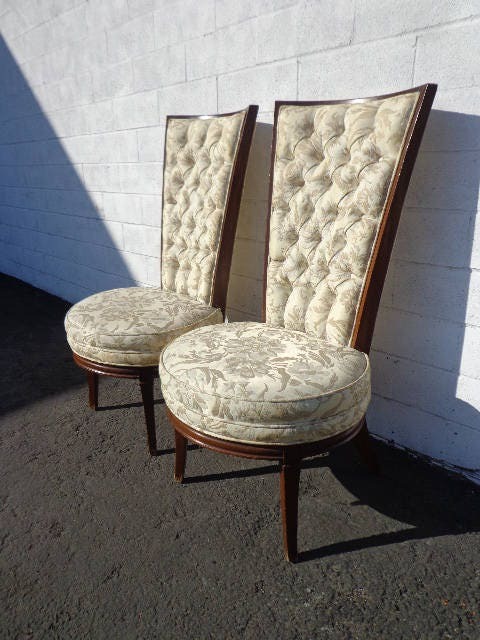 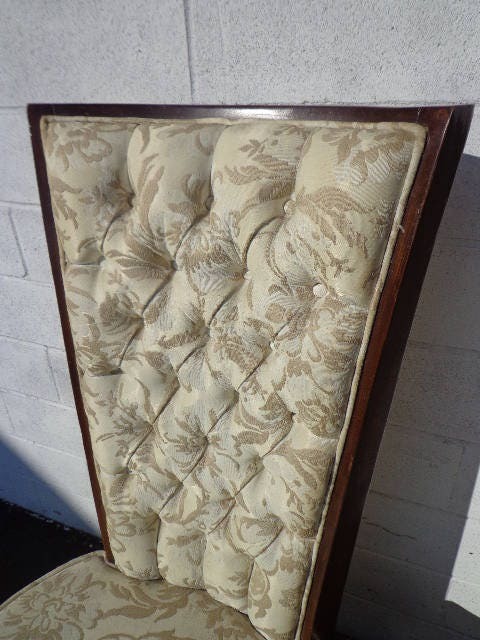 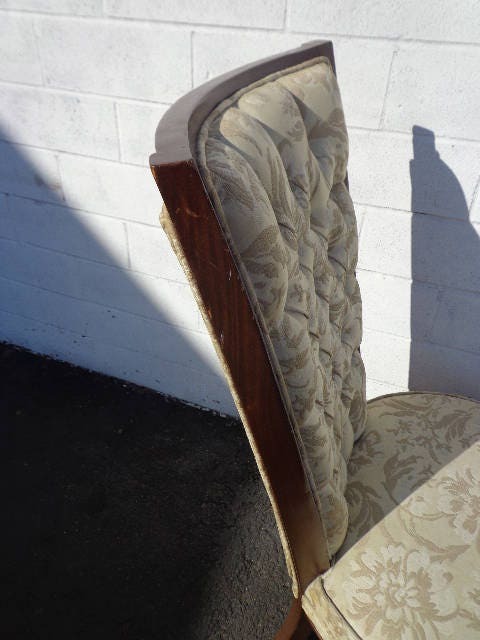 Covered in the original upholstery with tufting detail. 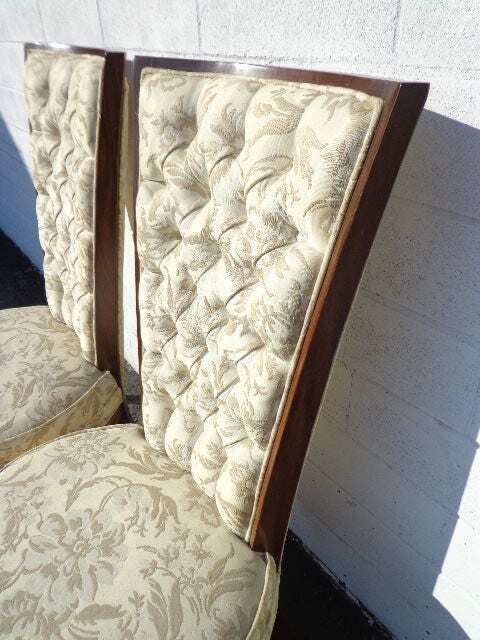 Both chairs are in overall good vintage condition and have solid frames. 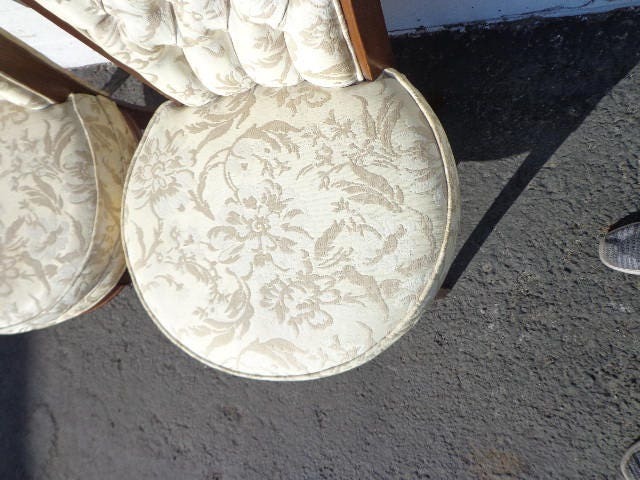 Both show wear that is commensurate with age and use. 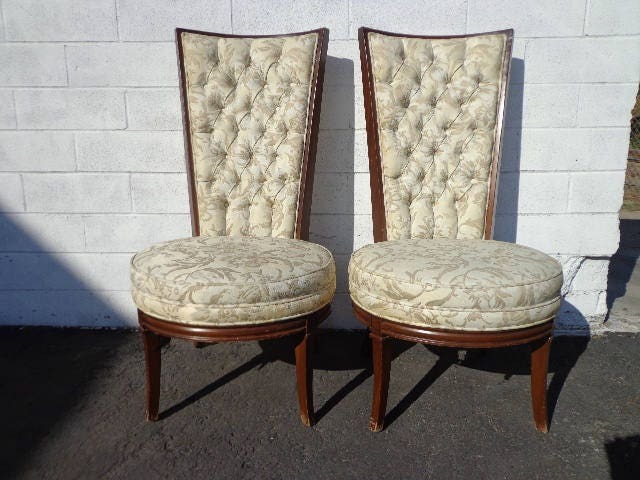 These would look fabulous with most decors from eclectic to antique to modern. 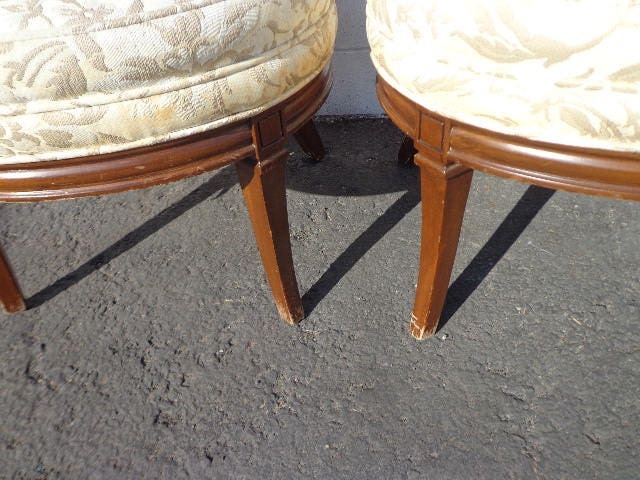 This is an ideal pair to refinish and recover for a whole new look.